Parenting doesn’t have to be so hard. So often Dads are second class parents, Moms are overburdened and the relationship has lost its joy. 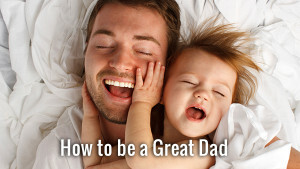 Full Frontal Fatherhood is not just an effort to help men be better Dads, it’s a concise formula to unravel the matrix of the disempowered modern family. This week’s video outlines the root of the problem and begins the journey to a joyful family.